I have several Spinning Wheels to work and teach on. I also have Drop Spindles. 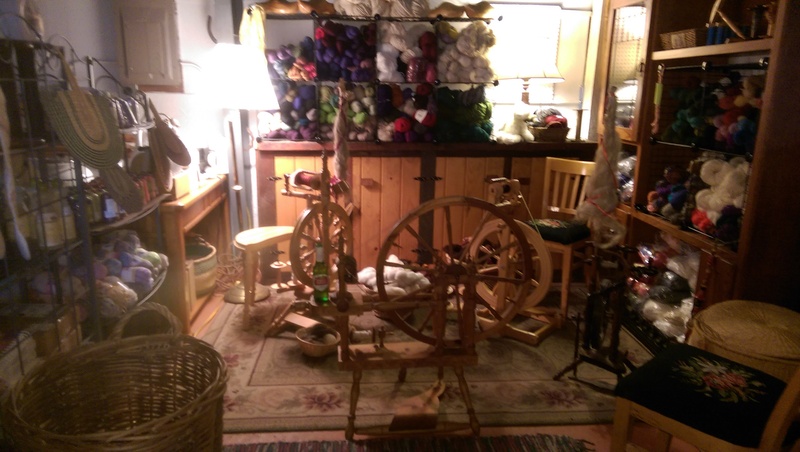 So when you come for a Spinning Workshop at Mission Creek Farm, I teach you how to use both. For the truly adventurous, we can set up my great wheel! 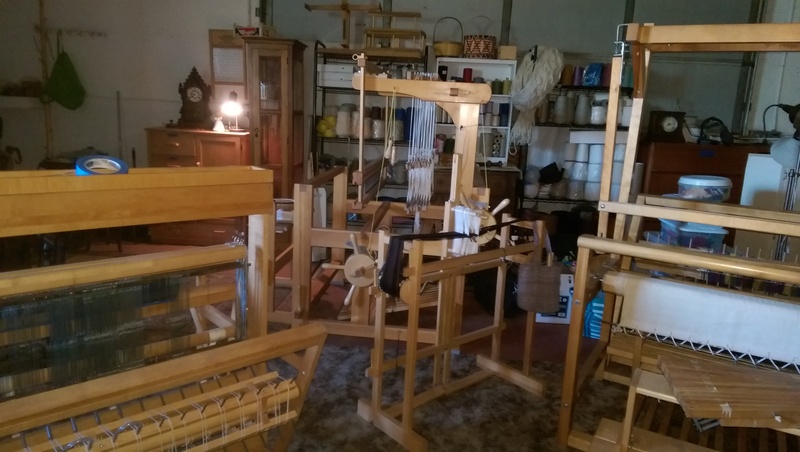 We have 5 looms here at Mission Creek Farm, from a simple 4 Shaft, 4 Treadle loom to the more complex 12 Shaft 14 Treadle loom and a few in between. The beginning classes start on the more simple looms, and the intermediate to advanced classes work on the more complex looms. I have a Jack Loom, Countermarch looms and direct tie-up. I will teach you the difference in the intermediate workshop. 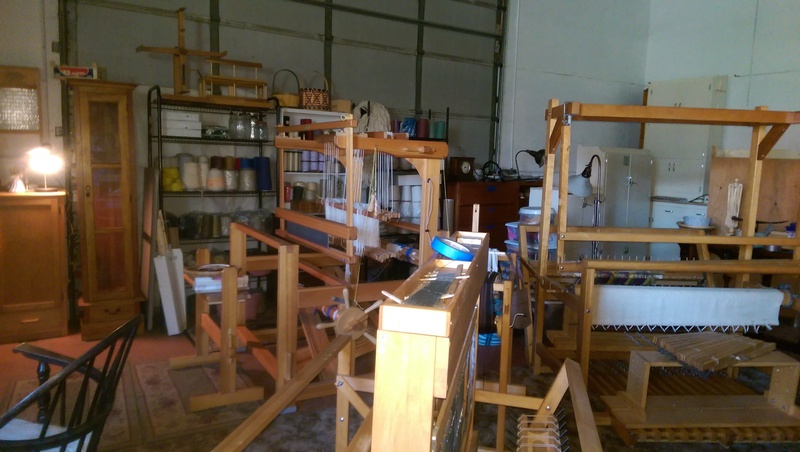 It's amazing how fast a large area can get filled up when you have big looms! But I have tried to arrange the Studio to be a functional space. 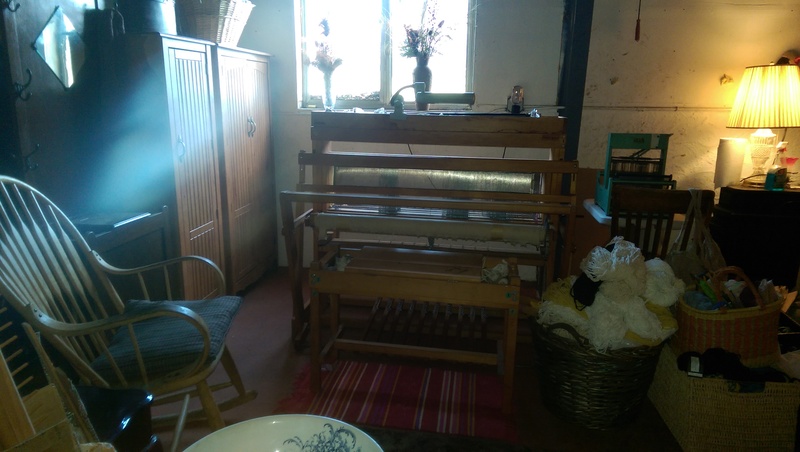 Woven towels need to be hemmed and other items require some finishing, so I have set up a sewing area in the studio. 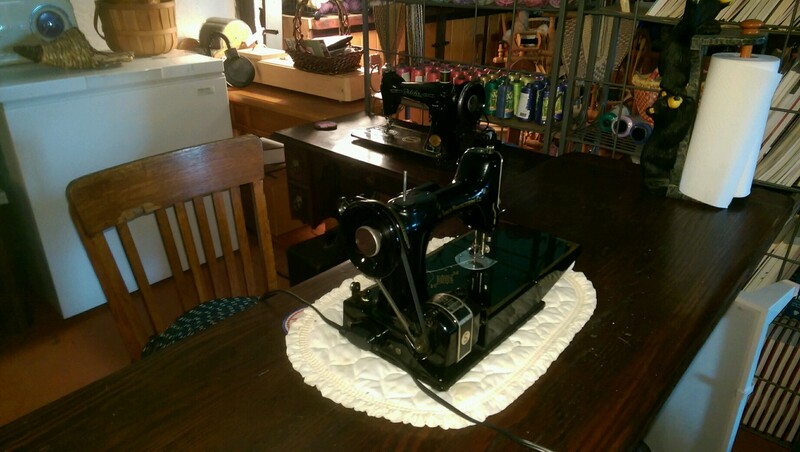 I have many sewing machines available for classes finishing up their projects. Some of them are classics!! 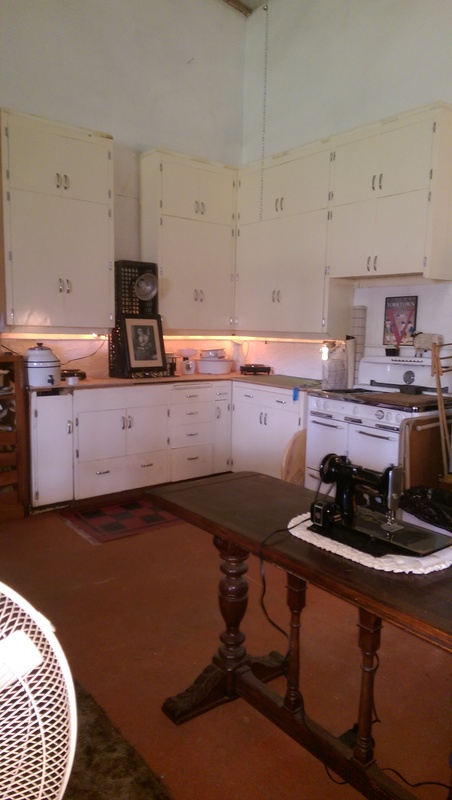 If you take a Wet Felt or Dying Workshop, we will be in the "Kitchen". The cabinets have come in really handy for all sorts of dyes, mordants and materials.